There appears to be another possible exodus from the US online poker market as the beginnings of a rumor are starting to hit the online poker forums. According to a recently created thread at 2+2 Sportsbook, Players Only and Super Book will no longer accept NEW US poker players after May 1st. All of the sources reiterated the same fact that the sites would still allow US players to participate at their tables, but no NEW US players will be accepted after May 1st –which doesn’t exactly instill me with confidence that US players will not be barred entirely at some point. 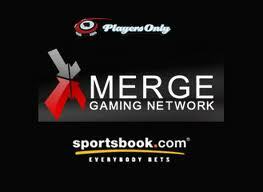 US players at these sites who may be fearful that they will be barred from playing outright, or new US players looking to join one of these rooms, can obviously jump ship to another Merge Gaming Network site like Lock Poker, where they will find the same software and players; not to mention a better deposit bonus and rakeback deal. The rumor first appeared on a couple of smaller sites and forums, and via an independent confirmation with a major online poker affiliate it appears that this rumor has some teeth. The most likely reason for the decision would be that withdrawals for US players are simply becoming too costly, plus the possibility of being targeted by the US DOJ. This entry was posted on Tuesday, April 26th, 2011 at 3:23 pm and is filed under Poker Industry News. You can follow any responses to this entry through the RSS 2.0 feed. You can leave a response, or trackback from your own site.